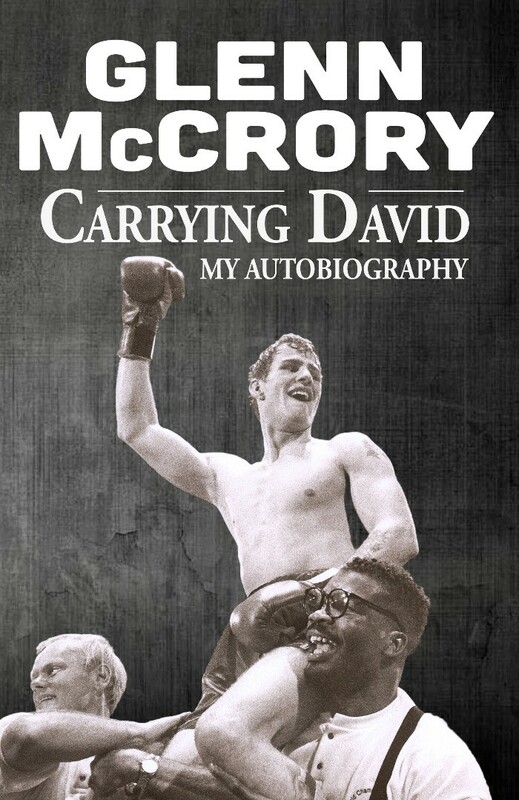 When Glenn McCrory won the IBF Cruiserweight title to become the first boxing World Champion from the North East, it was just one remarkable achievement in an extraordinary life. He sparred ninety-six rounds with Mike Tyson. He pioneered Sky Television’s boxing coverage and has been with the network for over twenty-five years. He offered to fight Lennox Lewis in a car park. He auditioned for the roles of Ivan Drago and James Bond. Throughout it all, from the stunning highs to the many lows, Glenn has drawn inspiration from his adopted brother, David, whose battle against the disease that would eventually claim his life was fought with bravery and dignity. From being Champion of the World to hitting rock bottom and being diagnosed with depression, Glenn reveals all in his hard-hitting autobiography. Just like the man himself, it packs quite a punch. Glenn McCrory is a former IBF Cruiserweight World Champion who fought Lennox Lewis and sparred with Mike Tyson during a ten-year professional boxing career. He is now a broadcaster for Sky Television and has over twenty-five years of continuous service with the network. He still lives in his native North East.